Description: I.A. 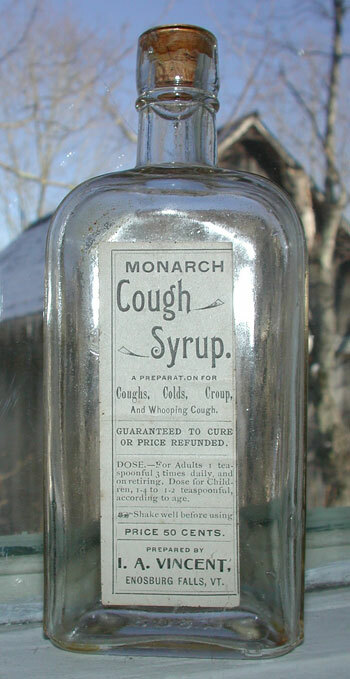 Vincent druggist from Enosburg, Vt. put up this early medicine called “Monarch Cough Syrup”. 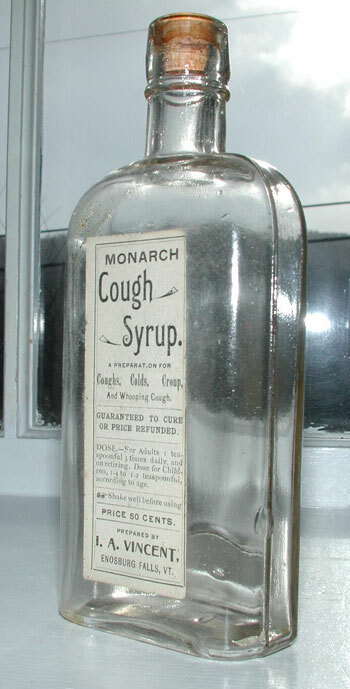 Label indicates it was good for Cough, Colds, Croup and Whooping Cough. Label in very good condition. Condition: Complete label in very good condition. Early strap sided bottle also in very good condition.